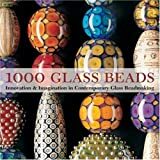 100 Beads - The Lampworker's Log Book: Record your lampwork bead recipes and designs in this journal for lampwork bead makers. Log your progress as you create 100 lampwork beads. A gift for lampworkers. Stitch + Sound: Sew a Singing Bluebird: Create a Felt Bluebird that Sings! Copyright© 有限会社人の森. All rights reserved.